The Suthers Law Firm continues to investigate alleged claims of serious and sometimes fatal side effects suffered by patients who were prescribed “Low T” drugs for testosterone therapy. 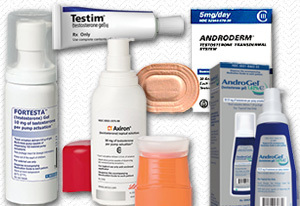 The drugs, including AndroGel, AndroDerm, Axiron, Foresta, Testim and others, have been heavily prescribed over the past several years as a safe way to treat men with low testosterone. However, numerous recent studies suggest that men taking AndroGel have a far greater risk of suffering a heart attack, stroke, congestive heart failure, or other adverse cardiovascular event. On May 29, 2014, an order was issued that established a federal testosterone multidistrict litigation (MDL) before U.S. District Judge Matthew F. Kennelly in the Northern District of Illinois. The purpose of creating an MDL is to facilitate faster progression of a large number of lawsuits that have certain allegations of fact in common. An MDL is designed to eliminate inconsistent court rulings among these cases, as well as expensive and unnecessary duplication of discovery. All of the lawsuits that were transferred to the Northern District of Illinois allege that drugs such as AndroGel, AndroDerm, Axiron, Foresta, Testim and others caused serious, and sometimes fatal, cardiovascular problems in men. There are currently more than 5000 cases pending in the MDL. In the near future, bellwether trials will begin in the Testosterone Replacement MDL. Bellwether trials are cases that the court and the parties select to test their arguments. These bellwether cases, are typically representative of issues that will arise in every injured person’s case. The goal of a bellwether process is to give all interested parties a good indication of what is likely to happen in future trials and to advance the litigation in a timely manner. In the Testosterone Replacement MDL, a series of six cases are expected to go to trial beginning in June 2017. While the outcomes of these early trial dates are not binding on other cases, they may influence eventual Androgel settlements or other negotiations to resolve cases and avoid the need for hundreds of individual trials to be scheduled in courts throughout the country. Suthers Law Firm is investing claims on behalf of individuals who used AndroGel or other testosterone therapies and suffered heart attacks, strokes or other serious medical complications. Other testosterone therapies that have been associated with cardiovascular complications include Bio-T Gel, Delatestryl, Depo-Testosterone, Striant and Testopel.